Full Raccoon tail is approx. 12in./31cm. 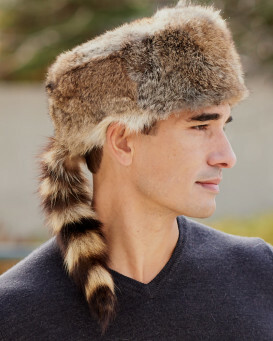 This Coonskin cap is made of genuine Raccoon Fur in the Daniel Boone / Davy Crockett style which includes a full Raccoon tail. 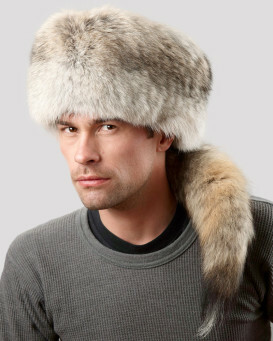 The exotic look of Raccoon Fur gives this hat the unique look you've always craved. This hat also features retractable ear flaps that can be worn down for extra warmth or neatly tucked away and hidden within the hat. The interior is quilt-lined for added comfort. 4.5 / 5 from 121 customer reviews. "Beautiful, high quality hat. Speedy shipping, and packed with care. I bought this hat for my husband's 50th, and he was thrilled! Sizing is spot on. 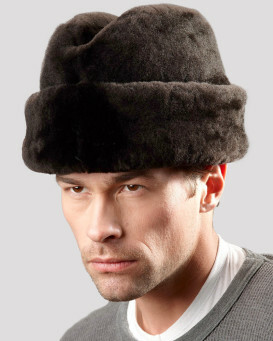 While hat doesn't cover the ears, there's a fold down flap that takes care of the ears nicely. If you're on the fence, don't worry! 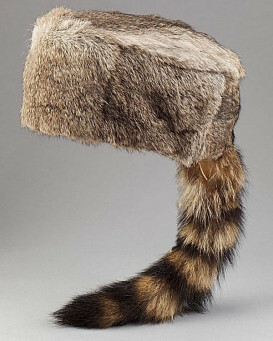 This hat is the real deal!" 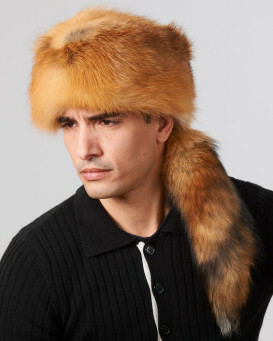 "Our recent experience with Fur Hat World has been an exceptionally rewarding shopping experience.Telephone customer service was pleasant and knowledgable about the product, and ordering was efficient. 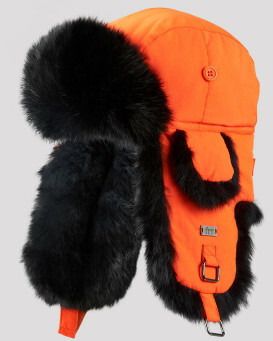 Order date to receipt of hat was less than 7 days, includiing a weekend/stat holiday! The order was shipped to another address, where the recipient was thrilled with the quality and workmanship. We will all definately not hesitate to order from this company in the future!" 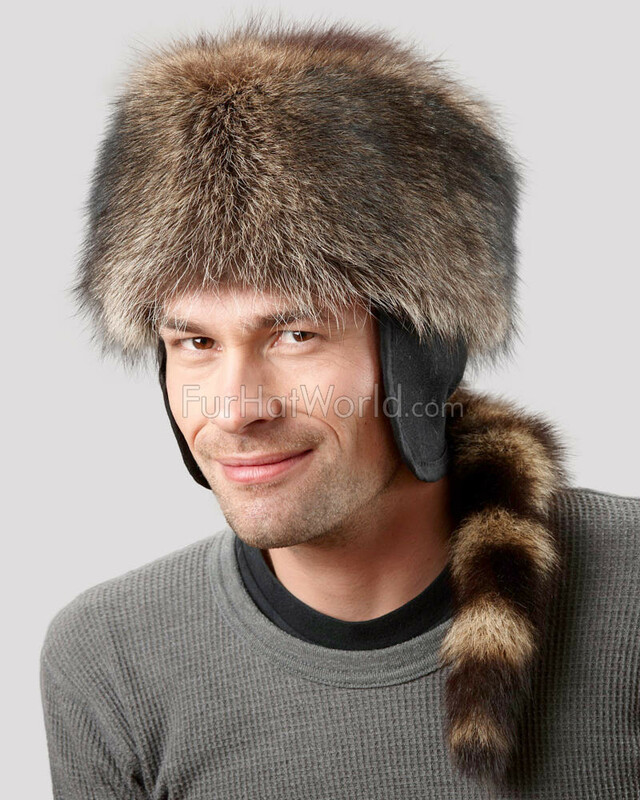 "My third hat from fur hat world , this coonskin hat is just awesome , I wore it today with temps in the single digits .so warm and looks so good , this hat is beautiful, so many people ask where I got it , real head turner , get one you won't be sorry. Furhatworld is great!!!" "My hat feels great ,looks great and makes me smile when I have it on . Love’s it !" 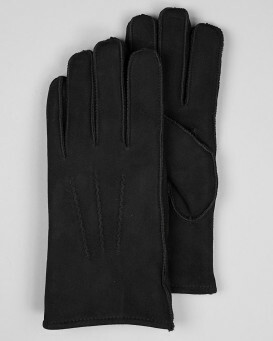 "Excellent quality, fit is true to size. I purchased one for my grandson and one for my nephew who live in Ozark mountajins and Telluride respectively. They are thrilled!!" "I have a house built with hewn timbers and wooden pegs in he 1800s. 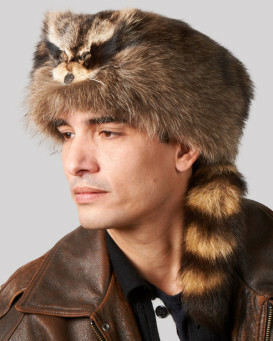 I have my raccoon hat hanging next a gun rack. It looks great!" "bougt this hat for my husband and he loves it it is all that it was discribe to be thank you"
"I am absolutely delighted with my new hat. It is stunning, and worth every penny for such a luxury product. AND, I won't see another one in SW France!! Perfect fit too!"